I hate it when my drawers are in shambles! 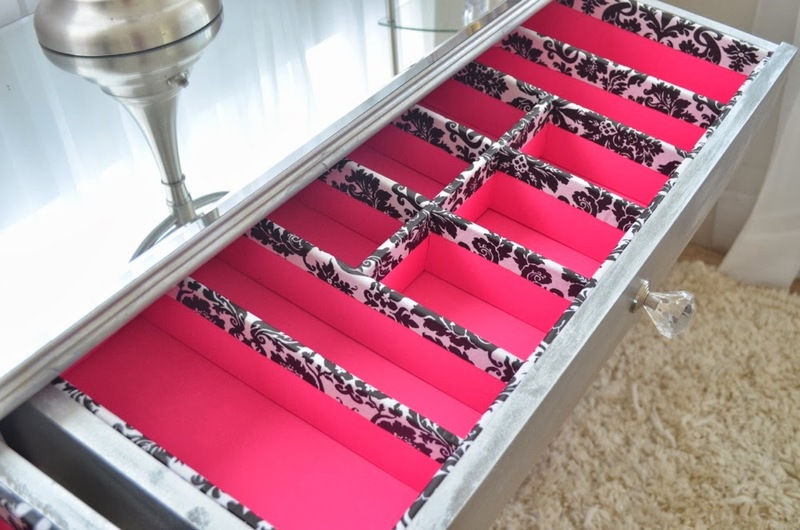 So I love finding good drawer organizing hacks. Today’s post are some of my favorite drawer hacks and one was one I came up with and designed for my own closet. There are some necessary questions you should ask yourself before tackling any drawer organizing task. What do I want to store in this drawer?You may think this is a silly question but, now is the time to think about whether or not what you store in this location makes sense. For instance, if you are organizing your vanity and have several drawers, you want to consider where each item you use would work best. Don’t just keep using a drawer a certain way because its content has always been there. You really want to make sure it works the best in the overall picture. What items are small and get lost in the drawer the most?You know the little PIA’s that get pushed to the back and you can never find them when you need them so you keep buying more. Check out this solution I found that I think would work well, a magnetic strip. I would want this located on the inside of my drawer, running along the inside of the side drawer box. This allows you to store all metal items without taking up any of the interior drawer space, clever right? Re-purpose boxes for drawer dividers. I thought this was a great drawer organizing hack to use unwanted boxes and at the same time create a designer looking drawer box interior. If you have deeper drawers you could use old cereal boxes that would have higher sides. This is one of my inventions, drawer boxes used as pants storage in your closet. When I moved into the house I am in now, I had no closet storage to speak of, especially when I took the existing closet and turned it into a tub room. Lee and I were able to steal some of the lanai space and carve out a closet for me. That being said, my last closet was 10 ft. x 14 ft. with a bench in it so, you can see how I needed to get a little creative to fit all of my stuff into a smaller space. Those that know me, know I love clothes and I have a lot. I am a jean freak and need lots of pants storage so, I devised these pullout drawers to store my pants efficiently. I simply removed the bottom of the drawer and purchased wooden clothes rods to install in my pullout drawer. Make sure you have full extension glides or you will not be able to see all of your pants when you pull the drawer out. 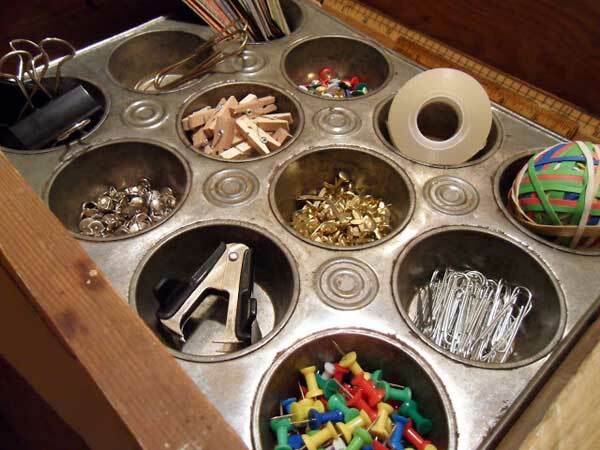 I loved the muffin pan idea for office stuff, it is so clever! 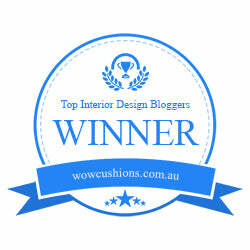 I hope my little designer drawer hacks work for you. I will continue to seek out new ways to make sense out of messy places. If you have any good drawer organizing hacks please share them with me and I will pass them along. Yes, I love a good drawer hack that really helps me be more efficient.